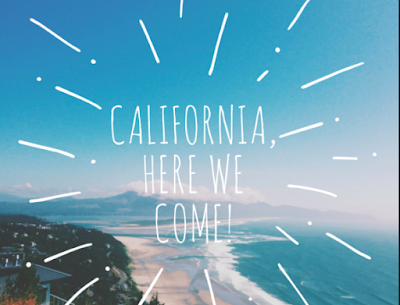 Life of Lou: California here we come! First and foremost I must apologise for my un-intentional absence last week. Work + family birthday + babysitting for friends + apartment hinting = no free time. But I'm back at it and blogging this week. Today I'm asking for advice. Today we are talking California. I have recently booked a trip to the States to visit family and have a little vacation and will be spending most of my time in beautiful California. So I want to know what you would recommend? What are your favourites places to visit, road trip paths, national parks, hikes, wineries. What ever you love to do in California I would love to know! Second, where do you stay in LA. We usually opt for Santa Monica and have always loved it but I'm open to suggestions. Please share your stories, knowledge and advice.